You know we love great and good food and wine, this is the reason why we use to travel our land in order to find the best place in the area. Osteria le Logge few steps by Piazza del campo in Siena, doesn’t have any competitor. 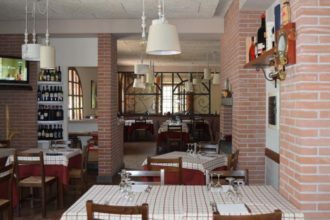 In 1977 Gianni Brunelli, the owner, created the idea of the typical Tuscan Osteria in Siena. He discovered the perfect location, and antique Drogheria of the XIX century and he started to research the best quality for food and wine (with more than 200 labels) without expensive mark-up. 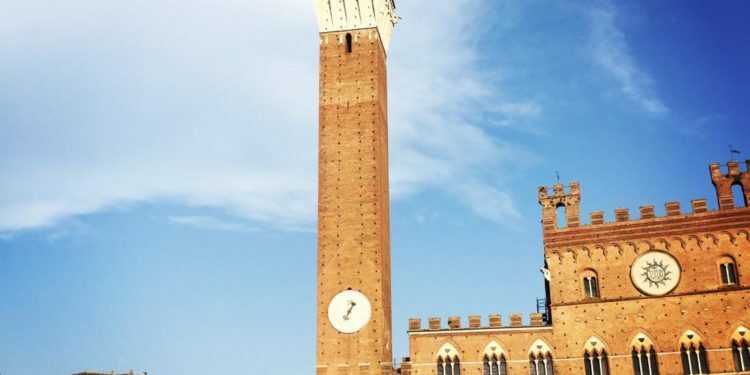 Why is Osteria le logge our best for Siena? We love to start at the Osteria with Ca’ del bosco Saten, and then with a Franz Haas «Manna», or Jermann «Vintage Tunina» for first dishes, and continue with a Lisini or Aviognonesi «Desiderio» (Is hard to remember all the great wines, the list is more than 30 pages!). Ask the sommelier if you are not sure about what to order. For our own opinion, their best primi include pici al torchio (typical Tuscan and Umbrian hand made pasta with a beef excellent ragu), malfatti all’Osteria (spinach-and-ricotta balls in a creamy tomato sauce) and ravioli ripieni di pecorino e menta (ravioli stuffed with sheep’s-milk cheese and mint in a sauce flavored with port). The staff is friendly and very accommodating. Food is excellent, and portions are large enough to make you feel satisfied, without feeling too full. The tables on the terrace are lovely as from there you can sit and watch life in Siena. This restaurant does get busy at lunchtimes, so we would either recommend making a reservation or being content to wait a few minutes. Never on Sunday. To book + 39 057748013. Last but not least Gianni Brunelli is also one of the best Brunello di Montalcino producer with “le Chiuse di sotto”. You can book a visit to the cave. It’s an experience that recall the genuine and true past of the art of making wine!